Comfort food at its best. 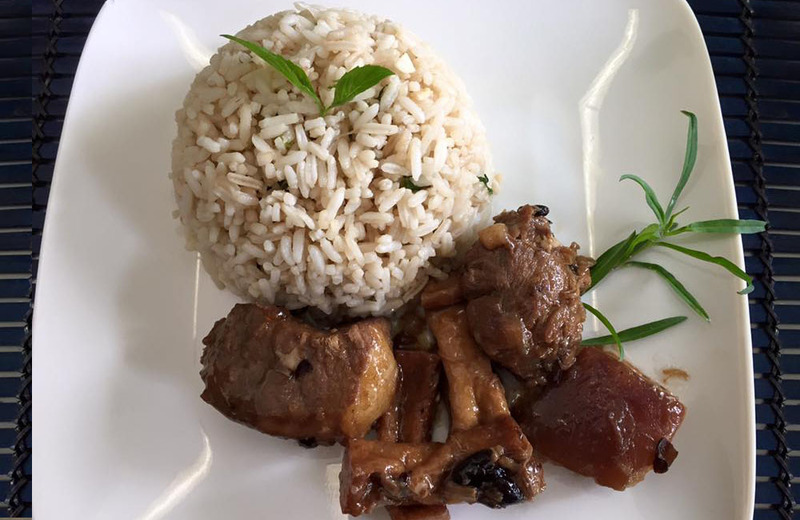 Pork adobo with tofu in taosi sauce from Twenty Six Herb Garden at 6th Street, Bacolod City. What's for lunch? Everything delicious! Slow-cooked without MSG and veggies fresh from the farms!